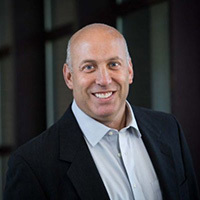 Stephen Applebaum is a subject matter expert and thought leader providing consulting, advisory and strategic M&A services to participants in the North American Property & Casualty Insurance ecosystem covering insurance information technology, claims, innovation, supply chain, vendor and performance management. As Senior Advisor to StoneRidge Advisors, an investment banking and advisory firm exclusively focused on insurance claims and services, he is working with the firm to expand their insurance technology M&A advisory and consulting services. 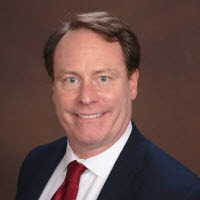 Previously, Stephen was Senior Analyst, Property & Casualty Insurance at Aite Group and prior to that, President of ClaimForce, a web-based insurance claims technology, supply chain management, and outsourced services provider serving North American P&C insurance clients and their trading partners in the automobile and property segments. 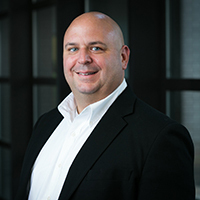 He was a Senior Vice President at ADP Claims Services (now AudaExplore, a Solera company) and previously enjoyed a successful career with CCC Information Services where he was a member of the senior management team. 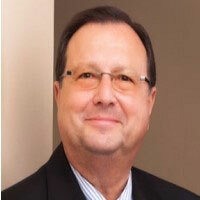 Victor Bayus is Vice President, Product Management Insurance, for the risk solutions business of LexisNexis. He joined the organization in 2010 and is responsible for managing existing products and developing new data solutions for the insurance industry. 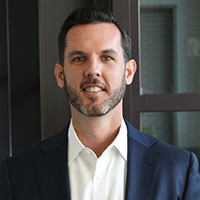 Prior to joining LexisNexis, Bayus spent 11 years at S1 Corporation in product management where he was responsible for launching and growing insurance and financial services software solutions. Bayus also spent more than six years in consulting roles with firms such as McCall Consulting Group and Accenture. 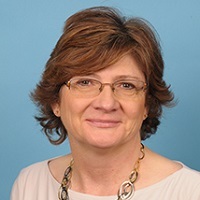 Bayus earned a Bachelor of Science degree in Economics from Allegheny College and a Masters in Business Administration from The College of William and Mary. Donnamarie D. Blake is Marketing Manager, Life Vertical Strategy in the Life Insurance Vertical at LexisNexis Risk Solutions. In this role, she is responsible for driving new Life initiatives thru the development process, conducting research on the Life marketplace, publishing competitive intelligence reports, and developing trend analysis. 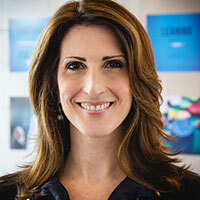 Since she joined LexisNexis in June of 2012, Donnamarie has worked on the design and development of several new Products for the life market, most of which were delivered in 2014 and 2015. Donnamarie is working with the Product Management and Technology teams to develop the processes that will align, and facilitate the strategies of the life Vertical. 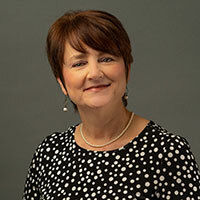 Prior to coming to LexisNexis, Donnamarie worked for 13 years at Nationwide Insurance. Six of those years included progressive experience in project management and product development. This includes managing large-scale initiatives in the Life Insurance business. She also implemented a project management tool, various process improvements, process measurement and benchmarking solutions. Donnamarie has degrees in Computer Science, and Business Operation from DeVry University. She also has a master’s certificate in Software Engineering and masters in Business Administration from Central Michigan University. She is a member of the National and local project management association, and is a certified Project Manager. 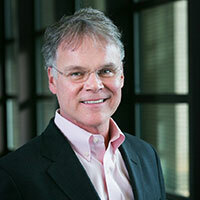 Bill Brower is Vice President, Product Management, Claims for LexisNexis Risk Solutions. He is responsible for leading the development of innovative products that help insurers achieve greater efficiency within their claims departments. With 30 years of P&C Insurance industry experience, Brower has held numerous leadership roles with top carriers such as Liberty Mutual and Nationwide Insurance Company. Most recently Brower served as Vice President and Manager of Strategic Partnerships for Liberty Mutual Personal Insurance where he led innovation efforts and managed vendor relationships across all claims disciplines. 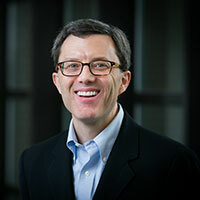 Brower earned his bachelor’s degree in Organizational Leadership from Franklin University and his MBA from Shorter University. Bunny Brownlee is a Product Manager and AML/Compliance Specialist for LexisNexis Risk Solutions. Her area of specialty is OFAC/AML/BSA Compliance which include Customer Due Diligence (CDD), Enhance Due Diligence (EDD), Sanctions, and Politically Exposed Person (PEP) Screening. She has over 16 years of helping the Insurance Industry and financial institutions apply data and technology solutions to support OFAC, AML and sanctions compliance program. Brownlee is a Certified Anti-Money Laundering Specialist (CAMS). 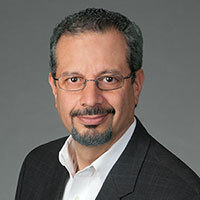 Frank Cesario is Director, Claims, LexisNexis Risk Solutions. He works with client engagement and product development teams to meet customers’ needs and brings more than 16 years of experience in claims. Prior to joining LexisNexis Risk Solutions in 2016, Cesario served in claims management and investigation for Geico and Progressive. He also spent more than 15 years in the criminal justice field. Cesario has a bachelor’s degree in criminal justice and a master’s degree in counseling from the University of South Florida and holds CPCU and ARM designations. 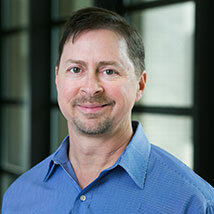 John Chalfant serves as Senior Product Manager, Claims for LexisNexis Risk Solutions. In this role, he is responsible for product development for P&C insurance claims, in particular for investigatory fraud solutions. Chalfant is also responsible for eliciting customer feedback, monitoring industry trends, and managing vendor relationships to the benefit LexisNexis Risk Solutions customers. Chalfant obtained a bachelor’s degree in science from Northern Michigan University and a juris doctor degree from Western Michigan University. Muthaya Cheranda is Vertical Market Manager, Home Solutions, at LexisNexis® Risk Solutions. In his role, Muthaya manages data and analytic solutions on the contributory data assets and building intelligence in the Personal Lines Property Vertical, including strategy, growth, and new product development. Muthaya is responsible for a number of industry leading solutions, including LexisNexis Home Inspection Index and the LexisNexis Property Data Prefill suite of products. Muthaya has been with LexisNexis for over 13 years working in a variety of technology, operational and product management roles in the Risk Solutions division. He holds a B.E. in Computer Science from the University of Mysore and an M.B.A. from the Robinson School of Business at Georgia State University. 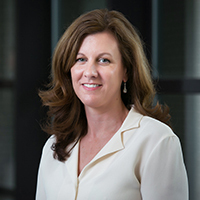 A LexisNexis Risk Solutions veteran of more than 18 years, Denise is responsible for managing solutions that enable insurance carriers to identify, attract and retain the most valuable policyholders. 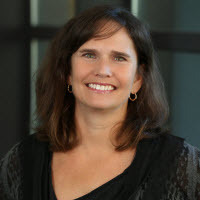 As Director, Product Management at LexisNexis Risk Solutions, Denise manages acquisition and retention solutions designed specifically for insurance marketers, helping them to refine their programs and bring the power of automated, big-data solutions to the unique world of insurance. Denise has a Bachelor’s of Science degree in Computer Management from Eastern Illinois University and an MBA from Illinois State University. 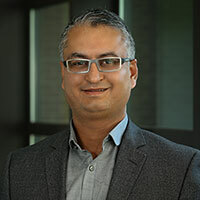 Vikram Dhawan is Director, Product Management, for the risk solutions business of LexisNexis®. He is responsible for the company’s Cross Industry contributory initiative and Fraud Defense Network. 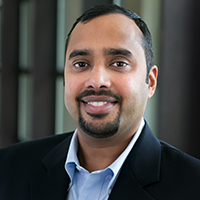 In the 10 years working for Risk Solutions, Dhawan has held various roles in the organization ranging from technology, enterprise architecture to business development serving multiple industries. Dhawan earned a bachelor’s in economics and mathematics and a master’s in information technology from the University of Rajasthan in India. He also has an MBA with a focus on innovation and business strategy from the University of Georgia’s Terry College of Business. Ryan delivers keynote speeches, courses and online learning with an emphasis on actionable content designed to elevate business performance. His curriculum emphasizes emerging trends influencing corporate culture, communication, collaboration, leadership, sales and brand experience. Ryan helps participants prepare to thrive in today’s ultra-competitive, hyper- connected business environment. 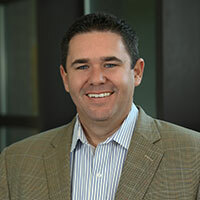 Todd Fannin is Senior Director, Claims, Auto Insurance for the risk solutions business of LexisNexis®. He is responsible for gathering market feedback from customers and prospects, then working with the LexisNexis product development team to create the solutions that help customers improve claims workflow processes and manage their bottom line. He joined LexisNexis in January 2012. 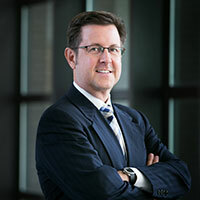 Previously, Fannin served as director of both technology and the claims process at Esurance. He also served as manager of the company’s claims process. Fannin earned his bachelor’s degree in accounting from Shorter College. Ernie Feirer is Vice President and General Manager, Commercial Insurance, for LexisNexis Risk Solutions, where he is responsible for a portfolio of products and services for the commercial insurance market. Feirer has been part of the insurance leadership team since 2000 and was named Vice President and General Manager, Commercial Insurance, in 2012. 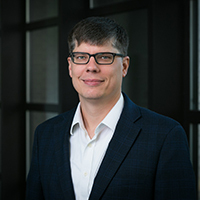 In his previous role as Vice President Product Management and Analytics, Feirer was responsible for product management and analytics across the insurance product continuum. He also served as Vice President and General Manager, Claims, where he played the central role in building a claims-focused business to complement LexisNexis’s data and underwriting business. 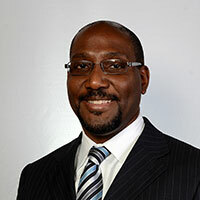 Prior to joining LexisNexis, he was responsible for the operations of ISO’s claims data and analytics business. Feirer earned a master’s in computer science and an MBA from Iona College. He also has a Certified Property Casualty Underwriter (CPCU) designation. Laura Frisbie is a Statistical Modeler at LexisNexis Risk Solutions. In her role, Laura produces industry analysis and model solutions for P&C insurance. Laura works primarily on predictive modeling for pricing and underwriting auto and property insurance. Prior to joining LexisNexis, Laura worked as a financial lines pricing actuary at AIG and as a civil engineer at URS Corporation. Laura holds a B.S. in Civil Engineering from Georgia Tech. She also earned a M.S. in Actuarial Science and M.S. in Mathematical Risk Management from Georgia State University. She is currently a student of the Casualty Actuarial Society and is pursuing her Associateship in the Casualty Actuarial Society (ACAS) designation. 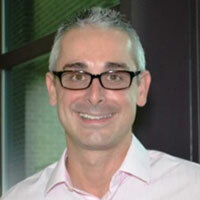 Ian Griffin is Manager, Product Management Insurance, for LexisNexis Risk Solutions. He joined the organization in 2014 and is responsible for the management of existing products and for developing new data solutions for the insurance industry. His area of expertise is centered around Active Risk Management products with a focus on the Active Insights Platform. Prior to joining LexisNexis, Ian spent 10 years within the Insurance Industry holding positions in Sales, Analytics, Strategy, and Management. Ian earned a bachelor of business administration in finance from Georgia State University and a Masters in business administration from the University of Georgia. A self-confessed insurance lead geek – Stephen Guerra is responsible for managing solutions that enable insurance carriers to identify, attract and retain the most valuable policyholders. As Director, Product Management, Stephen manages acquisition and retention solutions designed specifically for insurance marketers, helping them to refine their programs and bring the power of automated, big-data solutions to the unique world of insurance. 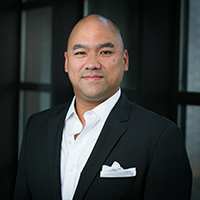 Stephen has advised clients; from small non-profits to Fortune 500 companies; on best practice and innovative techniques to optimize marketing programs, and has aided many organizations in achieving stellar engagement rates in both B2C and B2B arenas. Stephen has a Bachelor of Science in Finance from the University of New Orleans. 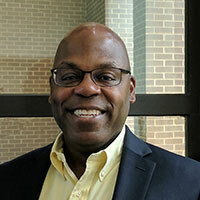 Eric Hobbs is Manager, Product Management, for LexisNexis Risk Solutions. He is responsible for overseeing police report product development for insurance carriers and electronic crash and incident report solutions for law enforcement agencies. Previously, Hobbs was a Claims Manager for Access Insurance as well as a police officer for the City of Beaufort, SC. Hobbs earned her bachelor’s degree in History and Political Science from the University of North Georgia as well as a MBA from Brenau University. In addition, he holds an Associate in Claims (AIC) designation. Shannon Holt is Product Manager, Claims, LexisNexis Risk Solutions. She is responsible for driving the definition and execution of product plans with the auto claims space from concept development through market launch and product support once in production. Previously, Holt owned a consulting firm that provided risk management services including claim history analysis, claims handling standards development, and incident investigation. Holt earned her bachelor’s degree in Risk Management and Insurance from Florida State University. George Hosfield is Senior Director, Home Insurance, for LexisNexis Risk Solutions. He is responsible for establishing the strategic direction of the home insurance business as well as working with customers, prospects and the product development team to create the solutions that meet insurers’ needs. He has been with RELX Group since 1999 working in various operational and strategy roles within the Legal & Professional business of LexisNexis and LexisNexis Risk Solutions. Most recently, Hosfield supported the insurance business as part of the strategy and business development team, advancing company expansion through the acquisitions of Wunelli, Coplogic, iyeTek, policereports.com and Mapflow. Hosfield earned a bachelor’s in English from The University of Virginia and a master’s in business administration from University of Richmond. Dennis Jay has been Executive Director since the Coalition’s founding in 1993. He has overseen the organization’s growth into its current membership of more than 140 insurance companies, consumer groups, government agencies and other partners. During this time, the Coalition has conducted landmark research into insurer use of anti-fraud technology, consumer attitudes about insurance fraud, and profiles of state fraud bureaus. The Coalition also produced the first model state insurance fraud law. To this end, the Coalition partners with groups to enact strong state fraud laws around the U.S. Jay also presides over the Coalition’s award-winning consumer-outreach programs, and is regularly quoted by the news media. 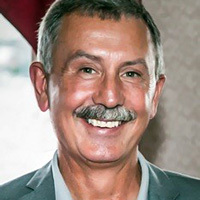 Tom Kaschalk has more than 30 years’ experience in the Property and Casualty Insurance industry, including leadership roles at Progressive Insurance, Reliant Insurance and Direct General, where he held C-suite positions in operations and claims across the United States and Canada. Tom has served on the Board of Governors of the National Insurance Crime Bureau. In his current role as a consultant, he has helped create long-term organizational impact and sustainable results for multiple clients. He is a graduate of Cleveland State University. 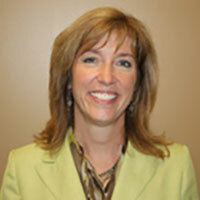 Jena L. Kennedy is Director, Life Vertical Strategy in the Life Insurance Vertical at LexisNexis Risk Solutions. In this role, she is responsible for gathering voice-of-the-market feedback from customers and prospects, and working with the LexisNexis product development team to create the solutions that meet customers’ needs. She is also responsible for providing industry subject matter expertise for members of the LexisNexis client engagement team. 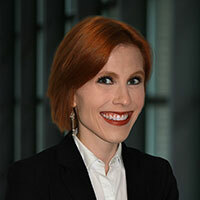 Since she joined LexisNexis almost five years ago, she has worked on the design and development of several new solutions for the life insurance industry, including the Current Carrier Life Contributory Database, the new Electronic Inspection Report, and most recently, data solutions to help carriers expedite deceased searches and locate beneficiaries in response to Unclaimed Property audits. Prior to coming to LexisNexis, Jena was an Assistant Vice President at LOMA, where she worked with the Educational Programs Division. She authored and edited several life insurance textbooks and LOMA courses during her tenure at LOMA. Jena holds the FLMI, ALHC, ACS, and CLU professional designations, and she earned her Masters in Risk Management and Insurance from Florida State University. She is a member of the Georgia Association of Home Office Underwriters and the Association of Home Office Underwriters. 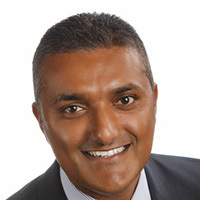 Sandeep Kharidhi leads Product Management for Acquisition and Retention products at LexisNexis Risk Solutions. In this role, he is responsible for managing solutions that enable insurance carriers to acquire new customers and retain and grow existing policy holder relationships. Previously, Kharidhi served in executive roles for over 18 years with several firms including ChoicePoint, Acxiom, Merkle and Harland Clarke. Kharidhi’s expertise is in marketing strategies, analytics, campaign attribution and optimization. He is a frequent speaker at industry conferences and has previously been a member of several trade groups. 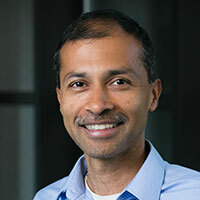 Kharidhi completed his graduate studies at the University of North Carolina in Charlotte with a master’s degree in Computer Science with a focus on data mining and artificial intelligence. Kharidhi is actively volunteers in the local community and is a board member of The Empty Stocking Fund. 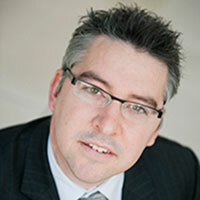 Ben is Director, Commercial Insurance, for LexisNexis Risk Solutions. Lim is responsible for leading product development and market strategy within the commercial lines insurance business. He has more than 12 years of insurance product development and management experience. Prior to joining LexisNexis, Ben served as Director, Commercial Automobile Line for The Hartford and had several Product Development roles with Travelers Insurance. He holds an undergraduate degree in business, with a focus in Economics and Finance, from the University of Hartford. 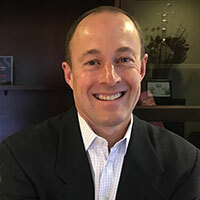 David Lukens is Director, Telematics, for LexisNexis Risk Solutions, where he is responsible for telematics and mobile solutions for the auto insurance market. Since joining LexisNexis in 2010, Lukens has also led several key data and advanced analytics initiatives, including building out solutions for identity risk management, driver discovery and policyholder retention. Prior to joining LexisNexis, Lukens was Product Development Manager with AIG’s personal lines auto group, where he was responsible for building and delivering new multivariate rating models for the agency and direct distribution channels. He has also managed claims operations in AIG’s personal lines auto group, serving as process leader for both the physical damage and casualty areas. 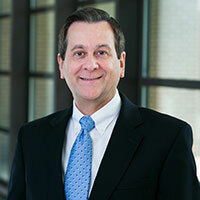 Lukens holds a bachelor’s degree from Cornell University and a master’s degree from the University of Delaware. 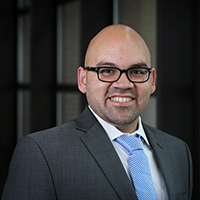 Omar Nieves serves as Director, Claims, for LexisNexis Risk Solutions. In this role, he is responsible for capturing the voice of the market and driving product innovations based on industry and customer needs. Prior to LexisNexis Risk Solutions, Nieves held national claims leadership roles at carriers such as Personable Insurance, Infinity Insurance, and Progressive Insurance. Karen Phelan, FLMI, AALU, is Senior Director of Strategy, Life Insurance, LexisNexis Risk Solutions, where she works with client engagement and product development teams to meet customers’ needs. Phelan began her insurance career as a life and disability insurance underwriter at Cigna and has over 20 years of experience in underwriting and operations. Prior to joining LexisNexis, she was corporate vice president at MassMutual Financial Group. She holds a bachelor’s degree in business from Bentley University and completed the Excellence in Leadership Program at Darden Business School, University of Virginia. She is a member of the Metropolitan Underwriting Discussion Group and serves on its Executive Board. Phelan previously served on MIB Group’s Advisory Council and is currently a member of the Association of Home Office Underwriters, the Hartford/Springfield Underwriter Association, and the Northeast Home Office Underwriters Association. 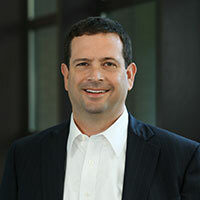 Adam Pichon serves as Vice President, Product Management, Insurance. Pichon has been with LexisNexis Risk Solutions since 2014, where he leads the credit and analytic product teams. 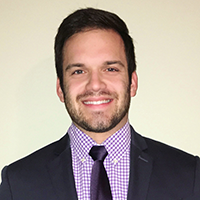 He has significant insurance industry experience, including product management and predictive modeling roles at auto insurance carriers, and works on the vendor side developing and managing new solutions for the property and casualty insurance market. Pichon has a master’s degree in Economics with an Econometrics focus, from the University of Illinois. Scott Rhinehart is the Product Associate in the Life Vertical at LexisNexis Risk Solutions. In this role, he is responsible for creating presentations for customer tests and educating customers on product offerings and viable solutions. Scott also works with Product Management to create product training for the Sales Team, which includes designing sales kits and customer workbooks. Scott also collaborates with the Client Engagement and Product Management teams to assist in customer feedback, product ideas, and process development to meet the strategies of the Life Vertical. 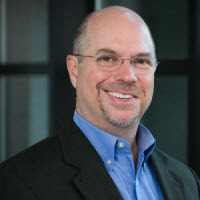 Scott joined LexisNexis in November of 2016. Formerly, Scott was a personal markets Sales Representative with Liberty Mutual Insurance for over seven years. In this role, he tailored auto, property, life, and annuity product offerings to his clients’ individual needs in an effort to minimize risk and achieve their financial goals. 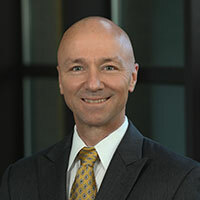 Scott earned his LUTCF designation from the College for Financial Planning and has a Bachelor’s Degree in Economics from the University of Georgia. 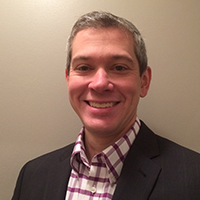 Chris Rice is Senior Director, Statistical Modeling, Insurance for LexisNexis Risk Solutions. With 20 years of experience in data and analytics across the insurance and defense industries, his teams specialize in identifying actionable insights from data to create market-leading analytics products and solving complex business problems. Prior to LexisNexis, he held a variety of leadership roles in analytics and product development at The Hartford, AIG, and GEICO. Rice holds a bachelor’s degree in mathematics from the University of Mary Washington and an MBA with a concentration in Decision Science from The George Washington University. 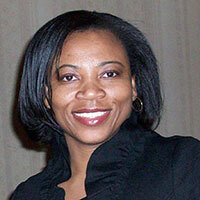 Liz Rozier is the Vertical Market Manager of commercial insurance, for the risk solutions business of LexisNexis. She is responsible for the development of Commercial Data Prefill solutions and in her role, she performs quantitative product analyses to present to current and prospective customers and assists with the research for future data analytics products in the commercial insurance space. Prior to joining LexisNexis, Rozier served as a commercial property and casualty agent at an independent agency. There, she focused on mid-market accounts and was asked to join the company’s franchise program, a preferred insurance vendor for a number of top national franchise systems. Rozier has more than five years of commercial insurance experience. She has a bachelor's degree in fine arts, specializing in communications from Valdosta State University. 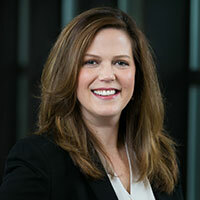 Kelly Rush is Director, Home Solutions, at LexisNexis Risk Solutions. In this role, Kelly manages rating and underwriting solutions including Location Intelligence in the Personal Lines Property Vertical, strategy, growth, and new product development. He is responsible for a number of industry leading location intelligence solutions, including LexisNexis Territory Index and LexisNexis Fire and Disaster Response Score. Kelly has filled a variety of Underwriting and Product Management leadership roles within the insurance industry for over 20 years and has been with LexisNexis since 2016. He holds a bachelor’s degree in Finance from Louisiana State University and a master’s degree in Risk Management and Insurance from Georgia State University. 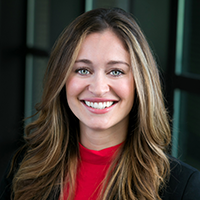 Melissa Scott is our Product Solution Specialist, Life Vertical Strategy in the Life Insurance Vertical at LexisNexis Risk Solutions. In this role, she is responsible for being the product expert for customer and sales. Designing sales kits, customer workbooks and customer solution proposals. Melissa is working with the Sales Team, Client Engagement Team and Product Management to assist in customer feedback, product ideas, and process development to meet strategies of the life Vertical. She joined LexisNexis in January of 2013. Melissa brings valuable experience from a customer’s perspective as she was Director, New Business and Annuities at Indiana Farm Bureau/United Farm Family Life Insurance Company, where she was employed for 25 years. She has underwriting, new business, and claims experience, and also worked on an automated new business system implementation. Her knowledge of business process workflows and automated systems implementation will be invaluable in helping the life vertical as well as the client engagement team. After her tenure at Indiana Farm Bureau, Melissa was Manager, Processing and Quality Assurance at First Advantage, where she worked with their Client Services and Development team to build requirements and implement new system regulations by the IRS and system deployments for new clients. 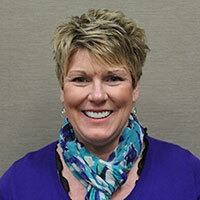 Melissa holds a Bachelor of Science in Business Administration from Indiana State University. She has also earned several industry certifications, including the LOMA Associate, Customer Service designation as well as the Fraud Certification by ICS Merrill. Melissa was also a member of the Indiana Policy Owner Service Association, where she had served as Secretary/Treasurer. 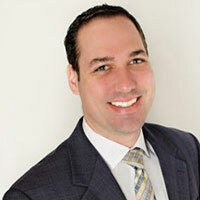 Mathew Stordy is Senior Director of Commercial Insurance for LexisNexis Risk Solutions. Stordy is responsible for driving the development of solutions for the commercial insurance market. In this role, Stordy manages strategic aspects of all data solutions in the commercial lines business including market intelligence, value proposition development and market positioning. He also works directly with customers, prospects and the product development team to ensure these solutions meet commercial insurers’ needs. These solutions assist insurance carriers in evaluating, predicting and managing risk and improving operational effectiveness. Prior to joining LexisNexis in 2009, Stordy worked extensively in the insurance software industry focused on policy administration systems, quoting applications, and business intelligence solutions. He holds a bachelor's degree in mathematics and a master’s degree in philosophy from the University of Connecticut. 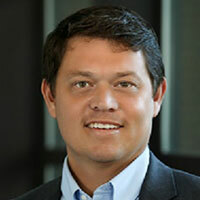 Patrick Sugent is Vice President of Analytics, LexisNexis Risk Solutions. For more than 25 years, Sugent has specialized in the effective application of leading edge analytic technologies to the insurance and other industries in the U.S. and internationally. He has developed and implemented new data and analytics solutions for P&C and health care claims and life insurance. Prior to joining LexisNexis in 2000, Sugent led an analytics team as a member of senior management for a small start-up that grew to more than 150 employees. 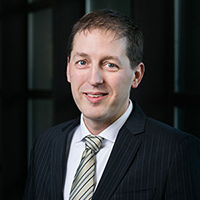 Sugent has a master’s degree in predictive analytics from DePaul University and a bachelor’s degree in economics specializing in econometrics from the University of Chicago. 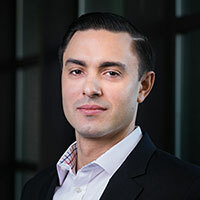 Felipe Walker is Senior Director of Client Engagement at LexisNexis Risk Solutions. In this role, he is responsible for leading the team that works directly with our customers to implement and leverage LexisNexis products and solutions and to ensure a smooth customer experience. 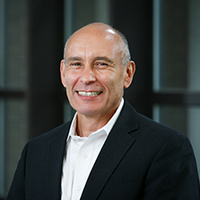 Felipe joined LexisNexis in 2005 with over 20 years of experience in operations leadership roles supporting both B2B and direct to consumer products and services in multiple industries, including telecommunications, government, and insurance. Prior to joining LexisNexis, Felipe managed the Personal Account Servicing group at AT&T, leading them to increase retention of high-value customers by 30%. In addition he lead the technical services group in providing award-winning support and increasing customer satisfaction. Felipe is Six Sigma certified (Green Belt), HDI (Help Desk Institute) Director certified and he is currently working on a Strategy Management certification from Harvard Extension School. Elliott Wallace is Vice President and General Manager, Life Insurance, for LexisNexis Risk Solutions. Wallace is responsible for developing and implementing the strategy for product positioning, market messaging, solution packaging, and the overall product roadmap of the life insurance portfolio. He joined the organization in 2011. Previously, Wallace served as Associate Vice President for business development at Nationwide Financial Group, where he worked to increase sales by developing and overseeing the implementation of strategic product initiatives, process enhancements, and business infrastructure upgrades. 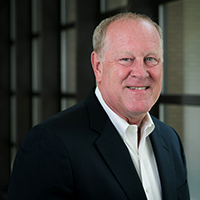 During his 6 years with Nationwide, he also managed key business relationships for the group and served on the company’s Enterprise Program Management team, where he supported executive-level programs. Before Nationwide, Wallace held key roles at leading organizations, including Allstate Insurance Corporation, Xpedior, IBM, Ernst & Young, and Eli Lilly and Company. 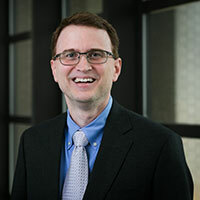 Wallace earned his bachelor’s degree in business administration, specializing in information systems and quantitative analysis, from the University of Cincinnati and a master’s in technology, strategy, and management from Northwestern University. 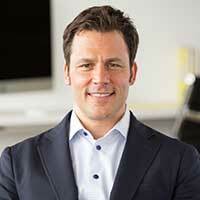 Mike Weitermann is Director of Product Management, Analytics, for LexisNexis Risk Solutions. He has been with LexisNexis since 2007 and leads the competitive intelligence product team in developing and delivering competitive intelligence solutions especially for the insurance industry. With more than 30 years of insurance industry experience, Mike serves as a LexisNexis subject matter expert and holds a number of patents in insurance rating and competitive intelligence. His experience prior to joining LexisNexis includes owning and operating a consulting firm that specialized in rating services and competitive intelligence, and directing the actuarial services for commercial and personal lines at a mid-sized regional property and casualty carrier. Mike earned a B.S. in Mathematics with a professional minor in Business Administration from the University of Wisconsin-Whitewater. 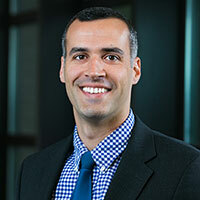 John Wytanis is a Vertical Account Manager of commercial insurance for LexisNexis Risk Solutions. Prior to his current role at LexisNexis, John spent over two years working with the commercial vertical and product development teams where he was responsible for developing and bringing new products to the commercial insurance market. Today, John manages a territory consisting of national and regional accounts. John also has a background in consulting and Guidewire Policy Center integrations and implementations. John has a Business Management degree, with a concentration in Strategy, from the University of Georgia.